Active volcanoes are those that can still erupt because they still have hot, melted rock under pressure pushing up under them. Some volcanoes stay active for centuries, so long that people forget that they can erupt and start to live near them. But living under a volcano poses many, many dangers. 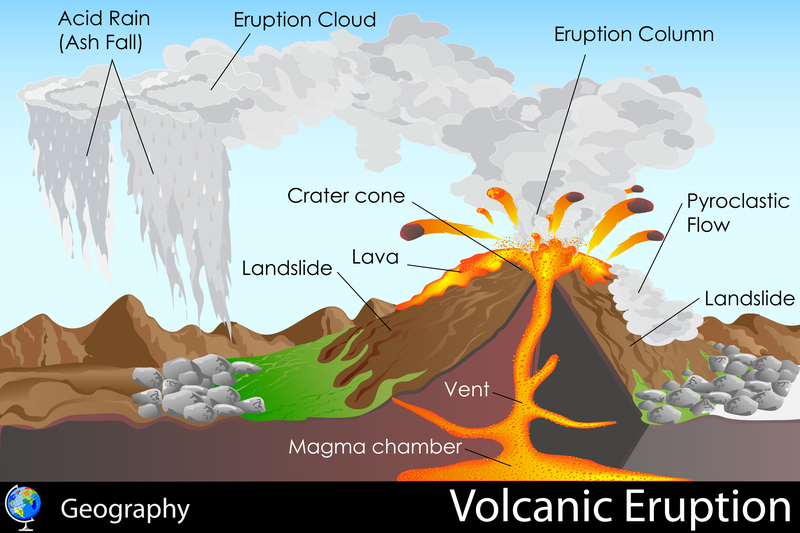 Find out more about volcanic eruptions! Landslides – The stone and dirt on the sides of a volcano can become dangerous in an eruption. 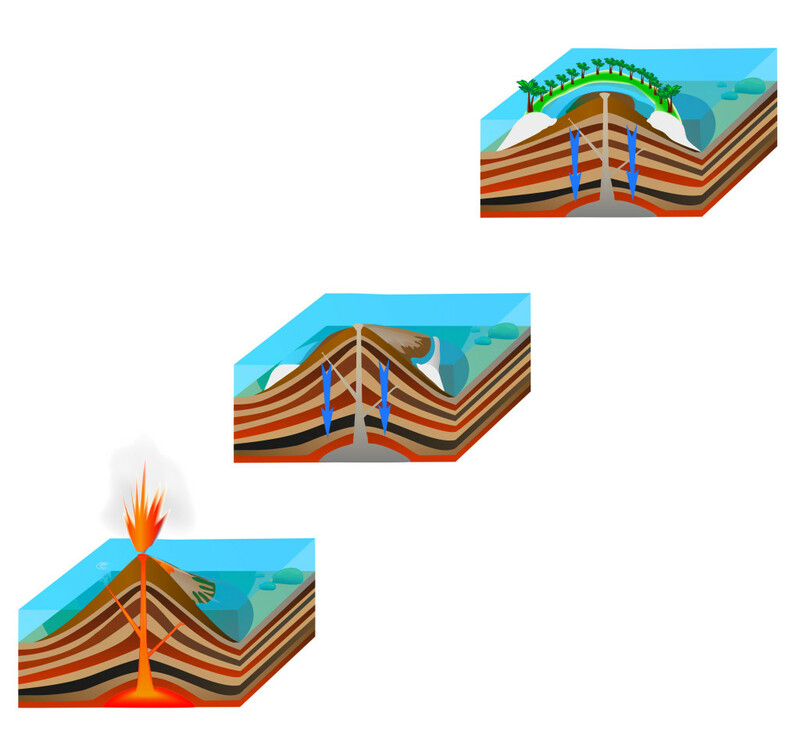 Even if nothing else comes out of the volcano, the movement of molten rock deep in the earth (known as magma) can cause earthquakes that can shake rock loose and send it pouring down the mountainside as a landslide. Lava Flows – When magma, underground molten rock, comes up to the surface of a volcanic vent from the magma chamber below, we call it lava. This hot rock can ooze out of the volcano slowly, or explode out in chunks, but either way it’s dangerous. Lava can be as hot as 1,200 °C (2,192 °F), which means it will melt just about anything its path, from trees to buildings and even stone. Pyroclastic Flows – Some volcanoes contain a lot of water inside their rocks, as well as in the snow and ice that can form on their tops. When these volcanoes erupt, ash, hot gases, water vapor, and lava can mix to form a very dense cloud of hot material that can flow down the sides of the mountain rapidly. These scorching hot clouds can reach temperatures of 1,000 °C (1,830 °F) and travel faster than a speeding train, making outrunning them impossible. Ash Clouds – The huge plumes of smoke and ash coming from erupting volcanoes can cover everything for huge areas, cause total blackouts in the middle of the day, and mix with water to form acid rain that can kill trees, fish, and other animals.